Chris Leslie is the MP for Nottingham East who campaigns for the Government to improve the provision of children’s playground facilities across the UK. As part of his recent input at a Westminster Hall debate on the provision of children’s playgrounds, he reiterated longstanding concerns that nationally playgrounds were not being replaced at the same rate at which they were disappearing. He makes the point that with 214 playgrounds closed and a further 234 playgrounds earmarked for closure by local authorities, this is bound to have an impact on the health and well being of children. He went on to say that the “great British tradition” of children’s playgrounds is “declining at quite an alarming rate” and unless the government intervened to halt this decline then this tradition is in danger of being assigned to history. Mr Leslie made the point that communal open spaces have “largely been taken for granted” and voiced concerns that it was not just children who gained from outdoor exercise and socialisation, but also new parents meeting other parents. 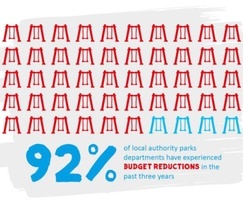 The link between declining budgets and pressures on the availability of local outdoor spaces was central to this downward trend. Rob Baker is the Managing Director of Nottinghamshire-based play equipment company Proludic Ltd and a board member of the API (Association of Play Industries) and FSPA (The Federation of Sports and Play Associations). He felt compelled to further comment on the current situation: “It is pleasing to hear that provision for children’s play in public open spaces is being highlighted and profile raised on the current political agenda. Not only do the statistics provided by the Nottinghamshire MP highlight the facts around declining numbers of play spaces, but also supports the correlation between fewer play spaces and poor physical and mental health. "The amount the UK spend on play is minuscule in comparison to the huge amounts of Public Health funding required to redress current levels of poor health and obesity resulting from inactivity across our society. 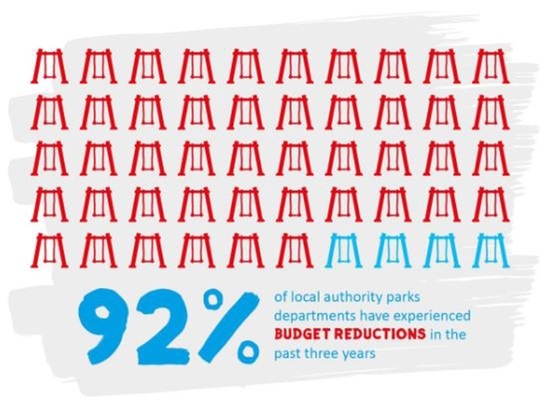 "The budgets required to reverse this trend of playground closures and invest in quality facilities for the future, would not only save millions in preventative medical care, but also encourage healthier lifestyles across all ages. The API (Association of Play Industries) actively encourage the public to get involved in helping to reverse the decline through the #Nowhere2play campaign.